Author: Bova, Ben Set In . . . The New York Times–bestselling and six-time Hugo Award–winning author’s epic Mars adventure continues. 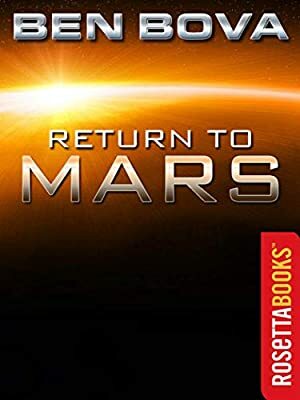 Jamie Waterman is returning to the red planet, this time in charge of an expedition in which he hopes to demonstrate that one can study Martian life not only for the sake of the pursuit but more, that it can be profitable. Waterman also hopes to revisit a part of the canyon where he thought he spied a primitive cliff dwelling during the first Martian mission. But this second voyage to Mars brings trouble right away as Waterman clashes with Dex Trumball, the son of a billionaire who is backing the expedition. Dex wants to turn the planet into a tourist attraction, while Waterman wants to preserve the planet solely for scientific research. As their rivalry heats up—both professionally and personally—Waterman is faced with betrayal and sabotage. But the planet still guards its most closely held secrets . . . discoveries that could change what everyone thought they knew about Mars—and life in space . . .